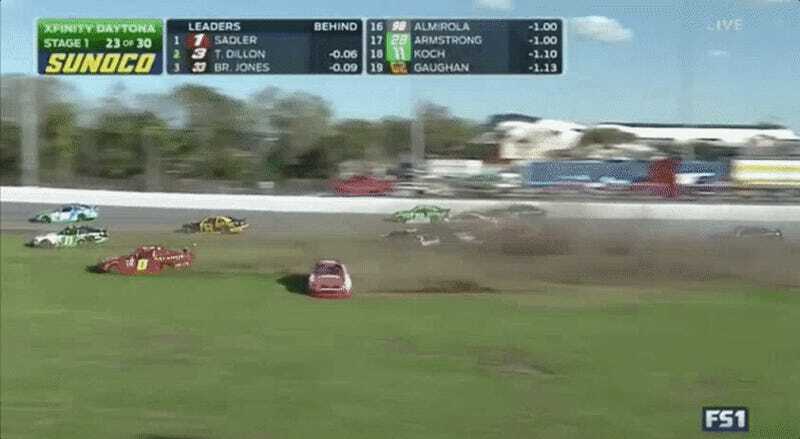 Just 23 laps into the NASCAR Xfinity Series’ season-opening race at Daytona International Speedway, a massive wreck collected nearly half of the field. That isn’t anything new at Daytona, but what is new is that NASCAR changed repair rules for the season—meaning a lot of those cars could be out of the race. Things appear to have started when the No. 24 of Scott Lagasse Jr. gave the No. 42 of Tyler Reddick a bump, turning him into the outside wall and collecting a ton of cars. Sheet metal flew and plenty of drivers mowed the infield grass, leaving the race to go under red flag for cleanup. When the red flag comes out, crew members are left to just stare at the cars until it lifts due to NASCAR rules that have been in existence long before this season. But the repair clock is new, and it gives teams a mere five minutes to perform an initial fix on the car to meet minimum speed. And, unlike in years past, cars that go to the garage can’t come back. So, here the big wreck came, several laps before the first stage of the race came to an end. 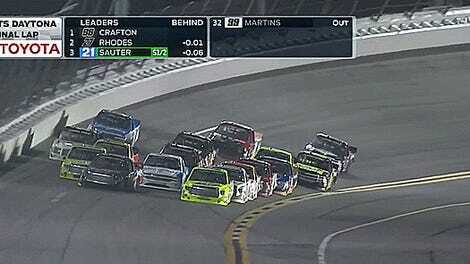 The caution came back out after 20 minutes, and a large portion of the field went under the repair clock. For the cars that didn’t go to the garage, Fox Sports said they all made it in time. But how many cars will make it to the end?